Vitamins, such as vitamin B12, are essential for good health. Although vitamin B12 supplements may help you lose weight if you have a deficiency in this vitamin, B12 alone is unlikely to cause significant weight loss for patients who otherwise have normal vitamin B12 levels. The B vitamins, including vitamin B12, are important for converting carbohydrates, fats and proteins into a form of energy that can be used by your body. Vitamin B12 is the largest of the B vitamins in terms of molecular size, and it is also known as cobalamin because it contains the mineral cobalt. In addition to its role in metabolism, vitamin B12 is needed to make DNA, red blood cells and myelin, a protective sheath that covers nerves. If you have a vitamin B12 deficiency, you will not be able to make red blood cells efficiently. This can cause a condition known as a macrocytic anemia. Symptoms include pallor, fatigue and weakness due to a lack of red blood cells. Because your body is able to store large amounts of vitamin B12, a deficiency typically takes years to develop. Most people need to 2.4 mcg of this vitamin every day to prevent a deficiency, though pregnancy and lactation increase your need to 2.6 and 2.8 mcg per day, respectively. If you have a deficiency of vitamin B12, you may have trouble getting enough physical activity to burn calories, due to your anemia. However, in the absence of a vitamin B12 deficiency, vitamin B12 supplements or injections are unlikely to cause significant weight loss, because additional B12 will not stimulate your metabolism or increase your energy levels. As a result, it is unlikely that most people will benefit from vitamin B12 supplements, though vegans and other people with diets low in B12 may reap some benefit. Vitamin B12 supplements are generally non-toxic, so there is little risk in taking them. However, these supplements may interfere with the absorption of certain medications, so talk to your doctor before taking a vitamin B12 supplement. 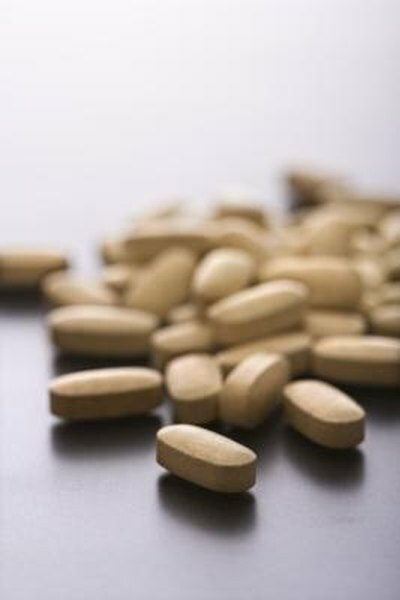 If you feel chronically fatigued or are unusually pale, talk to your doctor before taking vitamin supplements. Anemia can be caused by a variety of vitamin or mineral deficiencies as well as other health problems, so do not attempt to self-diagnose anemia or its causes.